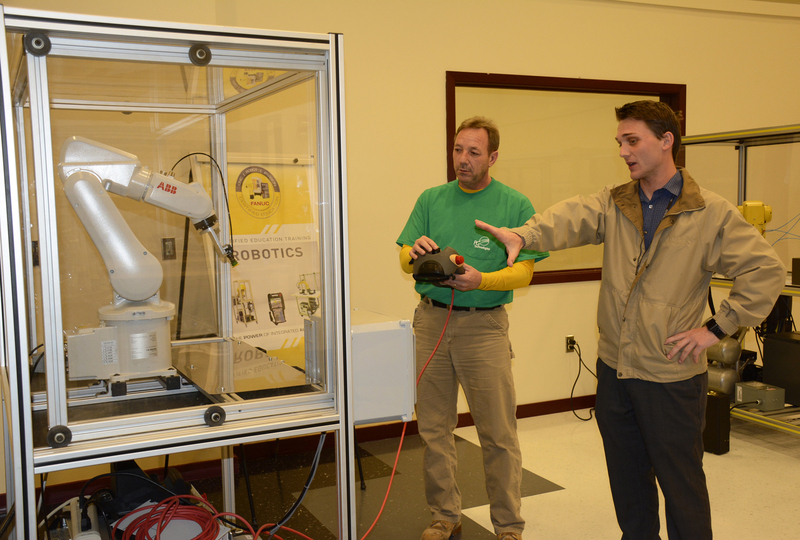 ELLISVILLE – The Economic Development Authority of Jones County and PG Technologies, LLC in Ellisville have formed a partnership with Jones College to provide advanced technology training with robotics at the Whitehead Advanced Technology Center. Jones College has purchased two, 140 ABB Robotic Arms with controllers, teach pendants, grippers and transformers with PG Technologies’ EDA Funding Support grant of more than $62,500. “Jones College is excited to partner with PG Technologies to offer training utilizing equipment purchased with an allocation from the EDA Funding Support. This equipment will be used to train PG Technologies’ new and existing employees. Training will be managed by PG Technologies and Jones College,” said Jennifer Griffith, Dean of the JC Workforce College. PG Technologies employees have utilized Jones College’s workforce training programs and are excited to be able to add another component with the purchase of this new equipment at Jones. Workforce Coordinator/ Financial Lead of Workforce College at JC, Greg Butler said the robotic equipment purchased will not be limited to just PG Technologies employees. 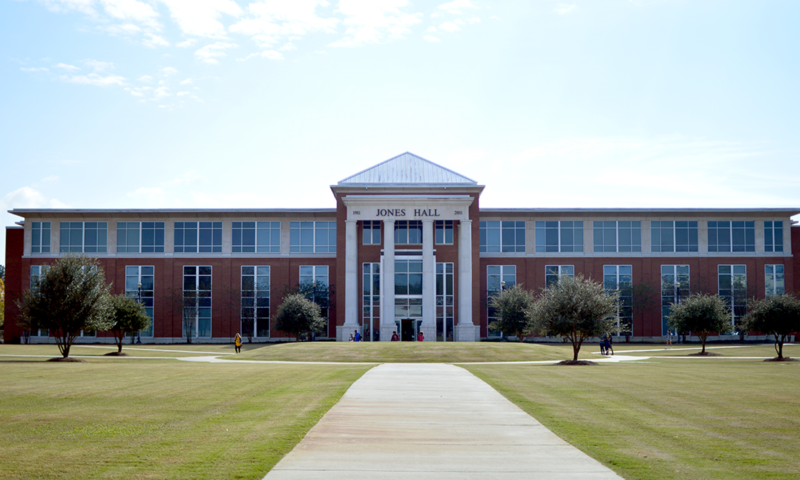 The Mechatronics Department of Jones College will utilize the robotic arms for training Jones students in the Electro-Mechanical and Mechatronics programs as well as provide training for companies through Jones’ Workforce College training programs. “This equipment will give Jones College the ability to provide world-class training to the workforce in our area,” said Butler. The EDA of Jones County President, Ross Tucker said the EDA is excited to be able to provide advanced workforce training to boost economic growth in the region. “It is a wonderful partnership to have with Jones College and PG Technologies. This is an opportunity to offer high-tech training for current and future employees, with the possibility of attracting more business to the county,” said Tucker. PG Technologies combined the expertise of GE Aviation and Praxair in 2016 and chose to move into the GE plant in Ellisville. The combined efforts of the Economic Development Authority of Jones County, Mississippi Power, the city of Ellisville and Jones County joined the Mississippi Development Authority to offer incentives for PG Technologies to invest in Jones County, Mississippi. The Mississippi Development Authority provided assistance in support of the project for infrastructure and building improvements, relocation of equipment and workforce training. State and local officials pledged more than $20 million in grants and tax breaks to attract the plant to the Magnolia State. The manufacturing joint venture provides the development, support and application of specialized coatings for GE components associated with nearly all of GE’s aircraft engines. GE Aviation delivers jet engine parts from its locations throughout the U.S. to PG Technologies to undergo surface coating through various processes. For more information about Jones College’s Workforce College training contact the Whitehead Advanced Technology Center at 601-477-4114.